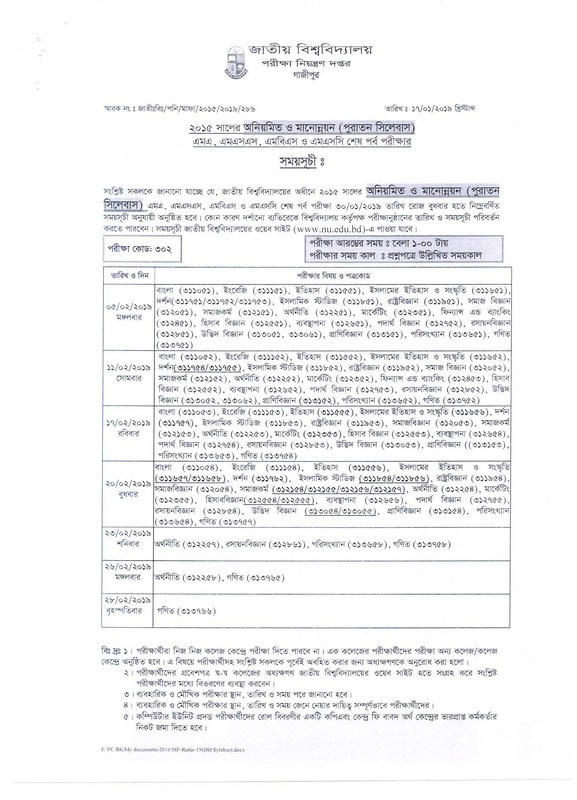 Today Bangladesh National University Gazipur Publish Masters exam routine For Old Syllabus. Its Great news for Nubd student. Now You can Advance Preparation for Upcoming Nu Masters Final Exam. If you want to download Nu Masters routine. Go to Nu Official Website nu.ac.bd. You can also get 2015 Masters Academic Exam Routine from Edujobbd.com. Read our The Educational Article. 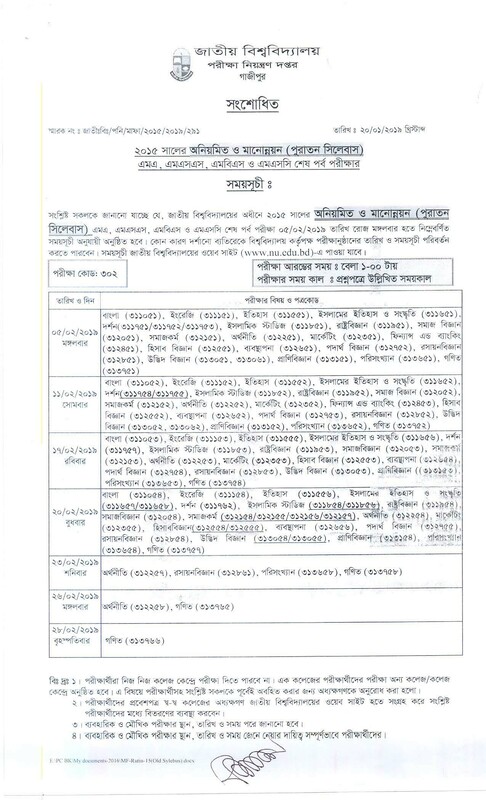 With a press release, Nu Authority says, Under Gazipur National University All 2015 Year Irregular and improvement (old syllabus) MA, MSS, MBS, MSC Last Year final Exam will Start from 05 February 2019 And Exam End on 28-02-2019. But Without Any Notice, The masters final exam timetable will change. A Masters Examinee can’t join exam in Own Collage Centar. Any Nu Examinee can Attend in exam others Collage. Master exam candidate can get own Admit card form College Principal room. Masters Practical and Viva Exam date and Place Information will publish on nu.edu.bd official website and College board. I think you should read our master’s Exam fixture related post. Now you know when starting your NU Exam. Getting More Educational News Visit Our Online portal. Here Also available Honours 1st-year Admission information, Honours 2nd year Exam Routine, Nu 3rd year result, National University 4rth year Final result and All Masters Exam Routine or Exam Date. The follower can also Visit, Like & follow our Facebook, Pinterest, Twitter, Linkedin,and Google+ for more details information.